Lieberman, perhaps best known for his energetic advocacy of barefoot running (which he sometimes does), convincingly makes the case for a wholesale rethinking of how we live our modern lives based on overcoming these evolutionary "mismatches." This mismatch has led, he suggests, to a proliferation of heart disease, cancer and diabetes – which were nearly unknown to our prehistoric ancestors, as well as disabling conditions like low back pain and autoimmune problems. 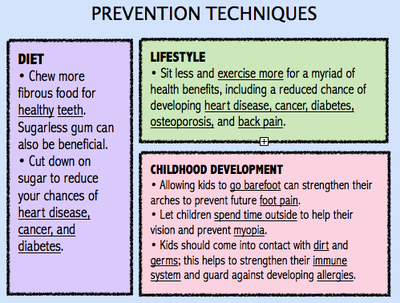 Looking at health from an evolutionary point of view suggests new approaches to prevention and treatment. Through this lens, it becomes clear that low back pain is the result of muscles weakened by spending most of every day relaxing in a comfy chair, Lieberman says. Instead of the extra lumbar support that some would suggest to allow the back muscles to rest, this evolutionary approach would advocate a standing desk and more exercise. We might have more luck fighting cancer, he suggests, if we view it as a disease of evolution, where certain cells win out by reproducing faster than others. Treating cancers with poisonous chemicals like chemotherapy might encourage the evolution of even more dangerous cells, just as some antibiotics and hand sanitizers can encourage the growth of more dangerous bacteria. Lieberman bases his arguments on his more than 20 years of studying and teaching evolutionary biology. When he first started teaching about our evolutionary ancestry, he ended his lectures roughly 12,000 years ago with the emergence of modern humans and their spread across the globe. His students always wanted to know what happened next, how people continued to evolve; and he grew dissatisfied with the stock answer that we weren’t changing much. Instead of evolving through natural selection – the process laid out by Darwin – human bodies have been mostly changing through cultural evolution, Lieberman now says. The biggest change early on was the movement to farming, which provided some survival advantage because there was more food available most of the time allowing women to have more babies – but which also led to new diseases and a harsher lifestyle. It’s only within the last 200 years — thanks to sanitation and antibiotics — that humans have regained ground our ancestors lost when they traded hunting for farming. Hunter-gatherers who survived childhood lived on average into their 60s, 70s and 80s, Lieberman said, while during the agricultural period, only a few were lucky enough to make it past their mid-50s. Similarly, humans lost height when their diet narrowed from hunting to farming. Paleolithic men in Europe averaged about 5’8” research shows. Heights shrunk to 5’4” during the farming era, before rebounding recently to 5’10”, he said. 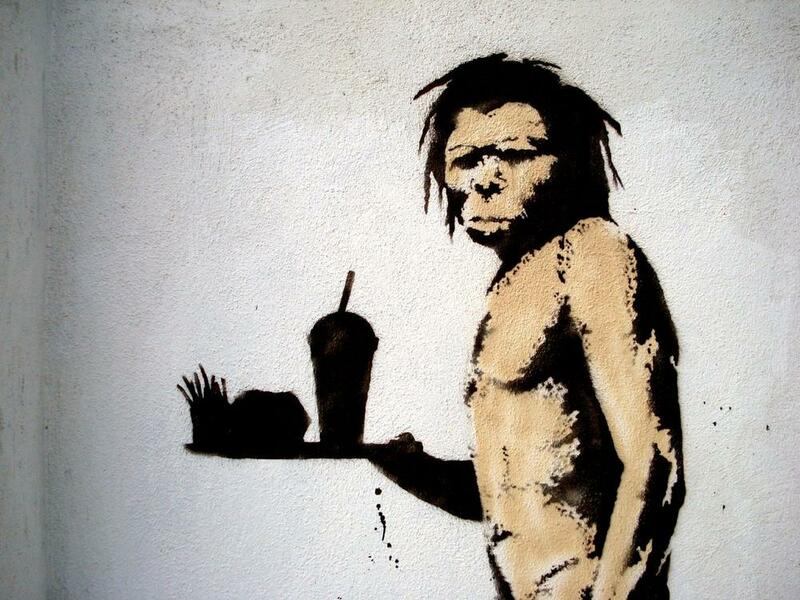 Lieberman does not advocate a return to the Paleolithic way of life. Food was crunchier and more fibrous, which helped our digestive systems and teeth, but infant mortality rates probably neared 50%. Humans, he notes, didn’t adapt over millions of years to be healthy in old age – but, rather, to reproduce more efficiently. So going back to this mythical past isn’t going to solve every health problem. Instead, he says, we need to figure out how to keep the best of today’s lifestyle without reducing our quality of life through poor habits. Like many others, Lieberman, who has run 10 marathons and has seemingly boundless energy, focuses on diet and exercise. “If there’s one evil ingredient out there it’s sugar,” he says, noting that Paleolithic diets relied heavily on fruit. But that was before fruit was bred for sweetness – back then, an apple was no sweeter than a carrot, he says. And people ate the equivalent of about 4-6 lbs of sugar a year — or about what we’d buy in one large bag from the grocery store. Americans now consume about 100 lbs of sugar per person per year. Lieberman says the most urgent thing to do is require more physical exercise in schools — at least an hour a day. For adults, he supports the kinds of higher taxes on junk foods and smaller sizes of drinks that recently got New York’s Mayor Michael Bloomberg into trouble. The changes we’ve undergone in the past show that we’re capable of changing again, under the right circumstances. Allergies and autoimmune diseases (such as Multiple Sclerosis and Lupus and even some autism): Allow kids to be more exposed to dirt and germs; prescribe probiotics along with antibiotics. Karen Weintraub is a health/science journalist based in Cambridge, Mass. Find her on Twitter @kweintraub. This program aired on September 27, 2013. The audio for this program is not available.